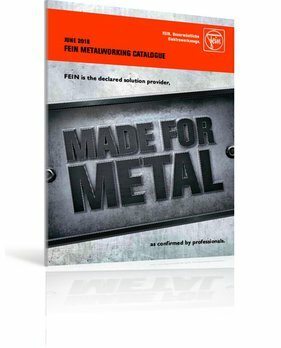 In the FEIN Canada Metal Catalogue 2018, you’ll find our range of professional and extremely reliable power tools for the metalworking industry. FEIN is recognized as a leader in finishing expertise and as a core drilling specialist, proven in metalworking with our high quality, high performance product line. Each and every FEIN power tool meets the challenge of solving an application with an operator-oriented approach. FEIN is the declared solution provider as confirmed by professionals.